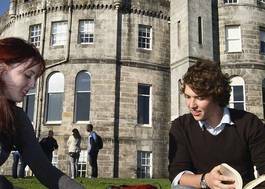 Study Biology and Psychology at University of St Andrews - Which? To include Biology or Human Biology and one of the following science subjects: Chemistry, Mathematics or Physics. Subjects excluded: Citizenship Studies, Critical Thinking, Global Perspectives and Research (GPR) and General Studies. To include HL6 in Biology and HL6 in one of the following science subjects: Chemistry, Computing Science or equivalent, Physics, Design Technology, Mathematics or Further Mathematics. To include Biology or Human Biology and one of the following science subjects: Chemistry, Mathematics or Physics. 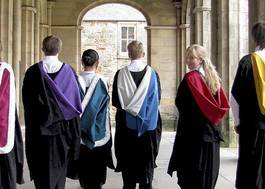 Over the last 600 years, the University of St Andrews has established a reputation as one of the world’s leading teaching centres. 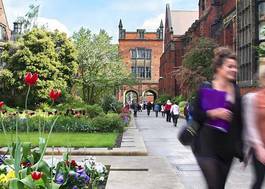 Today, we offer a flexible degree structure based on your choice of subject specialism, creating an environment which nurtures inquisitive minds and a culture of shared learning. The recession was tough on biology graduates, and although the jobs market has improved for them - a lot - it's still not back to where it was a few years ago. If you want a career in biology research — and a lot of biology students do - you'll need to take a doctorate, so give some thought as to where you might do it and how you might fund it (the government still funds doctorates for good students). A lot of graduates also take 1 year Masters courses to specialise in this wide and deep subject - most students take a standard biology course for their first degree and then specialise in subjects like ecology, conservation or marine biology later. Hospitals, universities, biotech firms, zoos and nature reserves and clinical and scientific testing are common industries of employment for biology graduates. 20 years ago, this was a specialist degree for would-be psychologists but now it is the model of a modern, flexible degree subject. One of the UK's fastest-growing subject at degree level, and the second most popular subject overall (it recently overtook business studies), one in 23 of all graduates last year had psychology degrees. As you'd expect with figures like that, jobs in psychology itself are incredibly competitive, so to stand a chance of securing one, you need to get a postgraduate qualification (probably a doctorate in most fields, especially clinical psychology) and some relevant work experience. But even though there are so many psychology graduates — far more than there are jobs in psychology, and over 13,800 in total last year — this degree has a lower unemployment rate than average because its grads are so flexible and well-regarded by business and other industries across the economy. 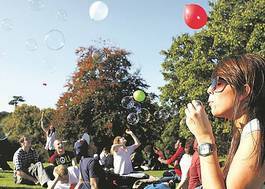 Everywhere there are good jobs in the UK economy, you'll find psychology graduates - and it's hardly surprising as the course helps you gain a mix of good people skills and excellent number and data handling skills. A psychology degree ticks most employers' boxes — but we'd suggest you don't drop your maths modules.